We all know that driving with too much alcohol in our system is illegal and can endanger lives. But did you know that driving while dehydrated can have much the same effect on driving ability as a couple of glasses of wine? In fact, there are a number of things that can significantly affect your driving ability that you might not be aware of. Read on to find out what common occurrences can cause unnecessary danger while you're driving and how to prevent them. While many of us top up our oil, coolant and windscreen wash before going on a long journey, few of us consider our own fluid levels. Driving in a stuffy car on a hot summer’s day can cause you to lose significant amounts of water. Being dehydrated affects your concentration levels and co-ordination. 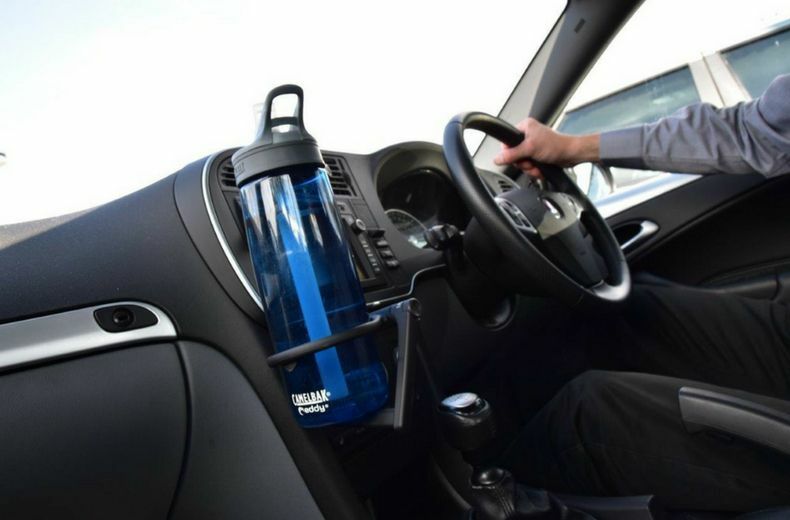 When motorists were put through a series of tests on a driving simulator by scientists at Loughborough University to assess the effects of mild dehydration on reaction time and performance, the results were startling. They made twice as many minor errors when dehydrated as they did while hydrated – the same number as those who have been drink-driving. That’s because concentration and alertness were significantly reduced. Errors included drifting out of the lane as well as braking too early or too late. According to the Department for Transport, driver error is the biggest cause of road accidents in the UK, with 68% of crashes as a result of this. READ MORE: Drink-drive limits: can I still drive? To keep well hydrated, health authorities recommend drinking around two litres of water a day, especially in hot weather. Make sure you drink enough fluids before setting out on car journeys, even if it means taking regular toilet breaks along the way. Don’t overuse the air conditioning as this can have a drying effect on the atmosphere. If you do feel tired while driving, stop for a drink that contains caffeine or sugar to give you a boost or take a rest until you feel more awake. With hay fever affecting an estimated 13 million people in the UK, many motorists will take some form of medication when pollen levels rise to try to relieve symptoms such as a runny nose and itchy eyes. But some antihistamine tablets can cause drowsiness, nausea and blurred vision, as well as affect reaction times – all of which make you more likely to have an accident. If you do cause a crash, you could end up with a criminal record. The police can ask you to do a ‘field impairment assessment’ and take a roadside drugalyser test. If they think you’re not fit to drive, you’ll be arrested and could be prosecuted. A conviction for drug-driving carries a minimum one-year driving ban and an unlimited fine. In extreme cases, you could receive a six-month jail sentence. Always check the label of any medication you take before getting behind the wheel. If in doubt, ask your pharmacist if it could affect your ability to drive. Some remedies are covered by the same drug-driving laws as cocaine and cannabis. If your symptoms are mild, stick to nasal sprays and eye drops that won’t cause drowsiness. Keep windows closed, even when parked – if left open they can trap pollen in the car. Many of us don’t think twice about driving home from the airport after arriving back from holiday. But driving while jetlagged is potentially dangerous as your body clock may be out of sync. Travelling through several time zones can disturb your sleep patterns and make you feel less able to concentrate. The bigger the difference between time zones, the more likely it is that you could suffer from jetlag. If you’re travelling long-haul through several time zones, consider getting a taxi to and from the airport so you won’t have to drive at all. Another option is to check into a hotel near the airport to get some shuteye before going home. If you’re already driving home and start to feel sleepy, pull over at the nearest service station to get some food and drink. Caffeinated drinks such as coffee should perk you up. Eat something to give you slow-release energy, such as porridge, wholemeal toast or a banana. We Brits love a cuppa, but did you know that some herbal teas can make you feel drowsy? Herbs such as chamomile, lavender and valerian are known to have mild sedative properties to help you relax. So, while they may be good for helping you to nod off at bedtime, they’re not recommended for people who are about to get behind the wheel of a car. Although there have been no reports of herbal teas causing accidents, they could potentially make you feel less alert behind the wheel, so drink (tea) and drive with caution. Those of you who like a brew in the morning before heading off to work should ideally stick to beverages with caffeine. Also, avoid adding honey. Honey has glucose in it, which research has shown hinders the production of orexin, a hormone that makes us feel awake and alert. Undertaking – have you been breaking the law?